Michael offers a discount of 50% on their first / introductory lesson! As a musician - I have worked in many different environments such as, Rock, Pop, blues, funk and jazz bands, theatre bands, concert bands. Besides working with some of the industries top muscians and performed a large number of shows. I have also, been involved in photo shoots, live videos, studio recordings and press articles. 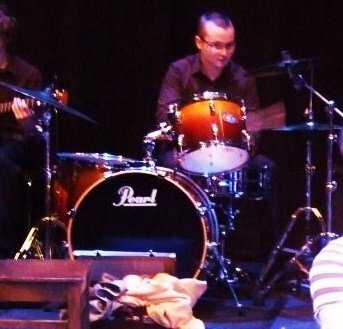 As a Private Teacher - I have taught drums since leaving school, delivering lessons in various environments, centres and schools. I have experience in delivering music workshops and also, teaching hand & tuned percussion. In 2014 I founded MM Drum School in Derby providing drum lessons and music therapy along with various other services. MM Drum School is an award winning business which, has gained much praise for creating bespoke programs for children and adults with Autism Spectrum Disorder. I hold the following legal certifications - Enhanced DBS Certificate, Public Liability Insurance & Employer Liability, Safeguarding & Child protection Certificates. Lessons are fully tailored and you have opportunity to gain qualifications in music. Learn to sight read, improve technique, learn songs and gain confidence.